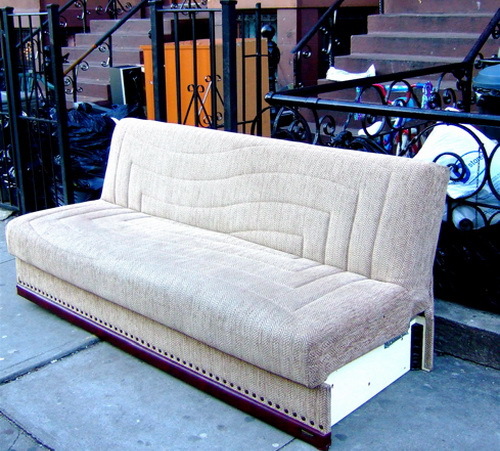 This beauty of a street sofa comes from an undisclosed location in Sunset Park and, we think, is one our first Sunset Parkers. It’s a beauty. Wow, WANT. I hope it doesn’t have bugs or something. Wow, I wonder what the van that this came out of looked like! I always enjoy the street couches seen on this website. It’s good to know that when the city does not provide benches for the public, we can always sit down on a sofa.